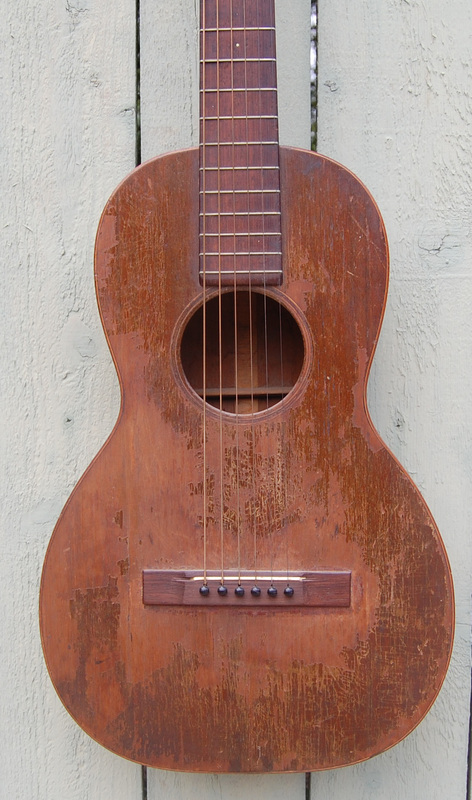 Pre war Martin guitar made in 1930. The year that the Great Depression started. According to Martin's records they only made two of these that year. This is one of them. Now THAT is rare. 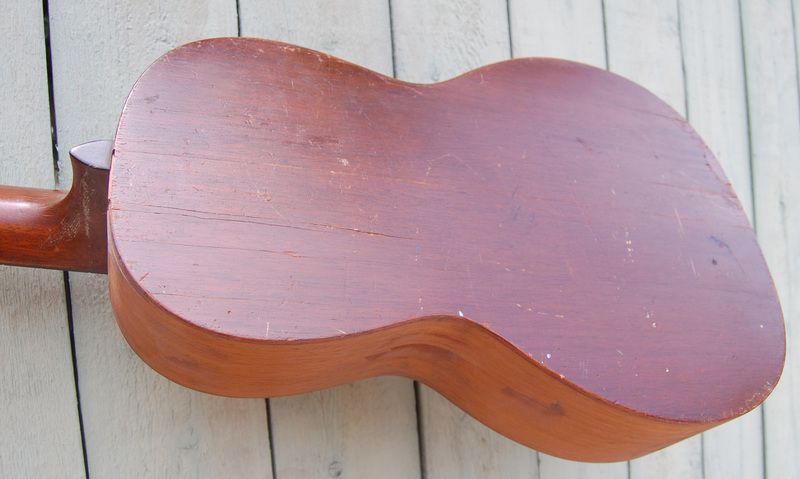 This guitar has seen it's better days but is ready for a sprucing up. 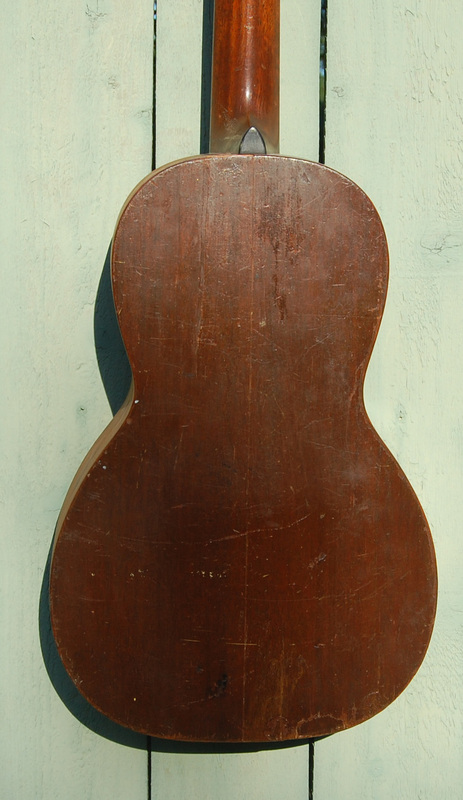 The first three frets have been replaced, but the others are original to this guitar. 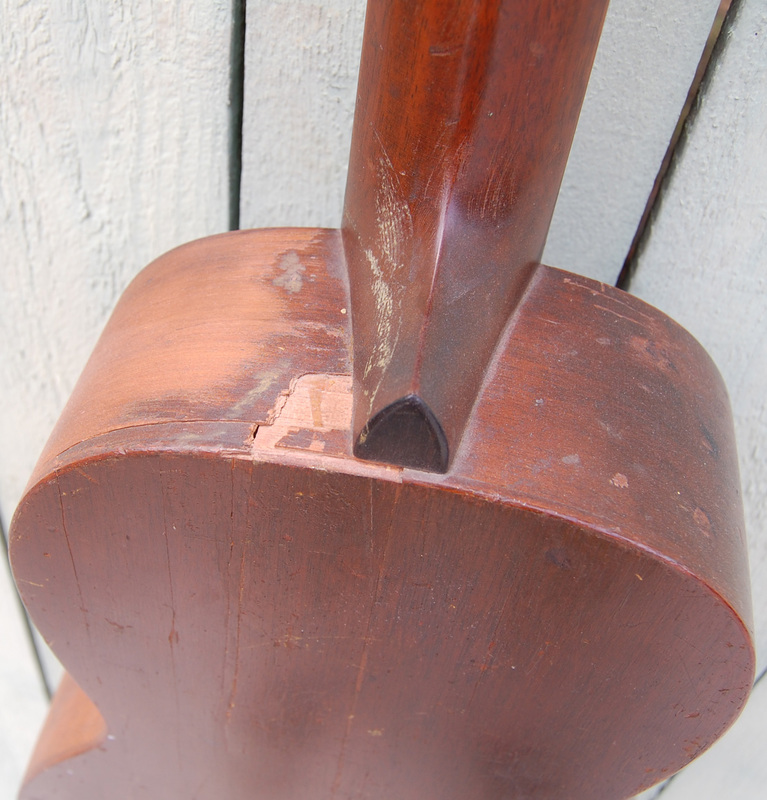 Original ebony nut. 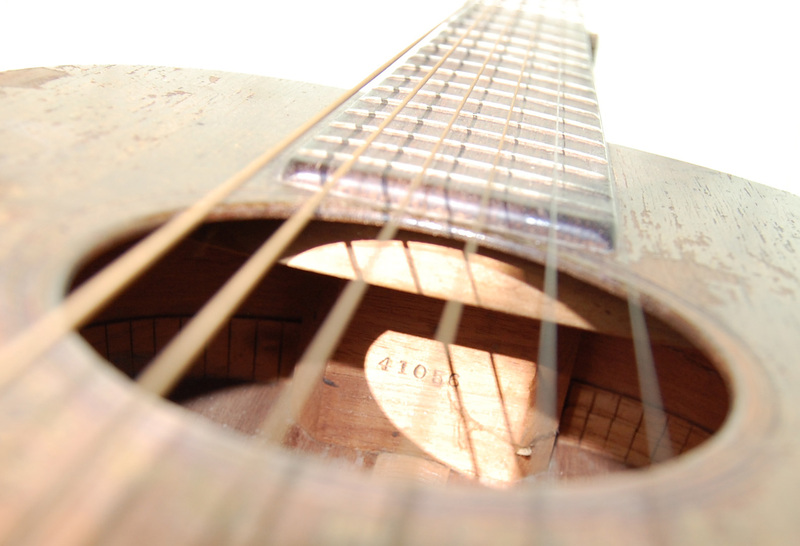 Original tuners and buttons. 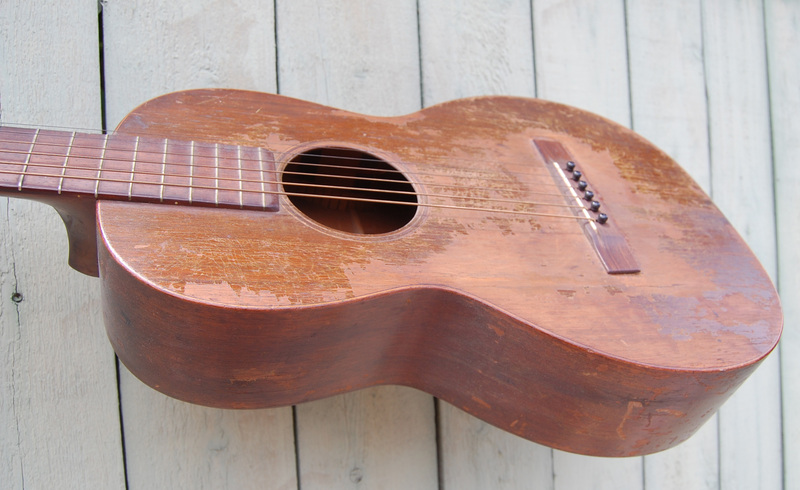 This guitar only weighs a mere 2 pounds 8 ounces. The wood is so thin you can see light through it if you hold it up to a bright light. The neck needs to be set and the bridge needs to be glued down. Top is still perfectly flat. This guitar is louder than any of my other guitars. Great rich tone. 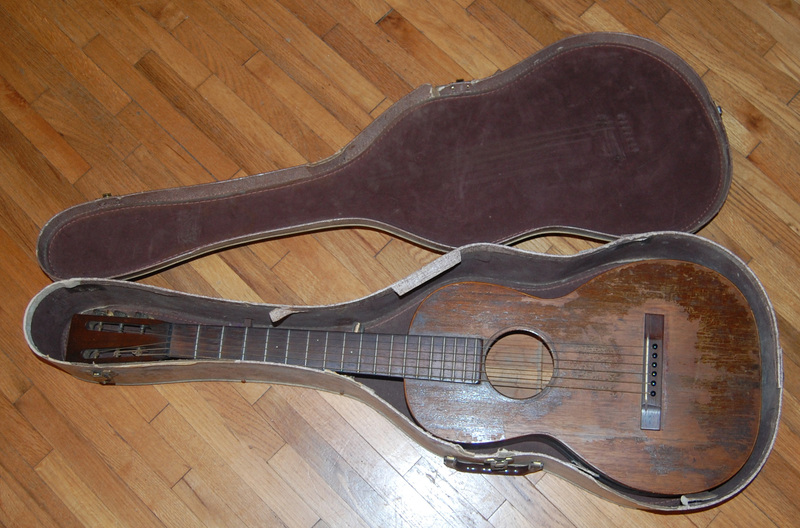 I have owned this for years and used it on many recordings. I stoped using it when I noticed the neck was about to pop off. Since then it has adorned the wall in my studio. It looks really cool. I thought one day I would get it fixed up. Now I am going to allow somebody else to have that joy. Comes in old cardboard case. Doubtful if original, but it fits well.